Why Should You Use Plaster? PLASTER IS A TIME TESTED PRODUCT: Plaster has been used as a swimming pool surface coating for the past 50 years. This experience has shown that plaster is a durable surface that can stand up to the environment of proper pool water chemistry. There is no other pool surface on the market with this time tested history. PLASTER IS ECONOMICAL: Plaster is the most economical pool surface. Its initial cost is well below more expensive options. In addition, the average plaster surface can easily last 15 to 25 years, which makes Plaster one of the most economical components of a swimming pool. That’s value for your investment. REPAIRABLE AND FORGIVING: Taking care of your pool takes time and attention. As time goes on and mistakes are made, a pool surface can become stained, discolored, and/or damaged. Stains on a plastered pool can be chemically removed or sanded off. A plaster surface can tolerated several of these procedures in its lifetime. PLASTER IS LONG LASTING: The secret to long life of any pool surface is properly maintained water balance. Improper water balance will destroy any pool surface and in many cases, void the warranty of that surface. A plaster surface, in a properly maintained pool, can last 15 to 25 years. PLASTER IS NON-TOXIC AND ECOLOGICALLY SOUND: There is a lot of concern today about toxic products. Pool plaster is made from some of Mother Nature’s finest materials. Plaster, being a cement product, is part of the largest segment of the construction industry. The backbone of construction and the world, is cement. PLASTER IS AVAILABLE IN A VARIETY OF COLORS: Pool Plaster is available world-wide. You need not worry that your pool surface will become obsolete. Plaster can be done in a wide variety of colors to create any appearance desired. The color is not just surface coating but continuous through the entire material. 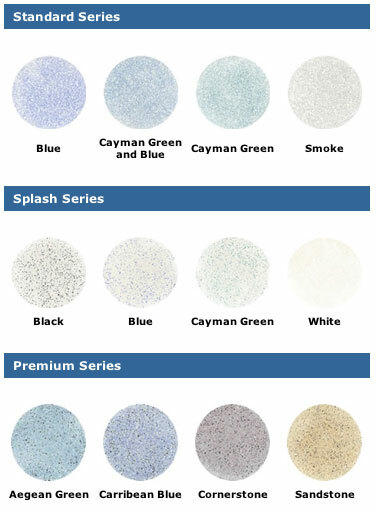 In addition, options are available for different finish techniques including 3M COLORQUARTZtm and exposed aggregate, that allow for great variety in obtaining a desired pool appearance. Do plaster finishes use more chemicals that a pool with a different surface? NO. Chemical usage is a function of the water not of the pool surface. Conditions such as water temperature, air temperature, wind, humidity and pool usage are the significant variable in chemical use – not the pool surface. If anyone tells you different, ask them for documentation. Does a plastered pool finish encourage the growth of algae, especially the dreaded black algae? NO. As anyone knows who owns a fish aquarium, algae is a function of water, not a function of pool finish. Algae sticks to glass in an aquarium, so it will stick to ANY pool surface. If your pool is properly sanitized you won’t have algae. If you have algae, you haven’t sanitized your pool properly. It’s that simple. Is the water in a plaster finished pool colder than a pool with a different surface? NO. It is well documented that 95% of the heat loss of pool water occurs from the water surface. Only 5% of heat loss is from the shell. No pool surface will eliminate this 5% loss, and if it could, the difference in water temperature would be less than one degree. Do plaster finished pools leak? NO. Most pool leaks occur in the skimmer throat where the tile grout meets the plastic skimmer. Plaster finishes are water tight and will prevent water loss through the shell. If the shell structure of the pool cracks due to ground movement or other cause, any pool finish will crack. Does the surface of refinished pools fail after a short time? NO. The procedures for replastering pools have evolved dramatically since the early days of replastering. Modern procedures assure that the new plaster will bond to the underlying material. As with any product, there are companies who do a good job and stand behind their work and bad companies who sell you on a low price and are not around when it fails. Consumers encourage the bad companies by only being concerned about price. Choose your plaster applicator the same as you would any service company based on reputation, referral, references, length of experience, etc. Contact the National Plasterer’s Council at 949-459-8053 for a member in your area or to verify membership and for information on the care of your newly plastered pool. 3M™ Colorquartz™ Aggregate is combined with white Portland cement and other materials such as crushed marble and applied to your pool’s interior in the same way as traditional plaster. The distribution of millions of quartz granules gives lasting, dynamic color to your pool’s surface. Unlike tinted plaster which can fade over time, this color will last and last even when exposed to strong chemicals and harsh sunlight. In addition to the remarkable color, a pool containing Colorquartz aggregate is stronger and requires less maintenance than conventional plaster finishes. Because the matrix of quartz is literally harder than steel, your pool finish will be more durable and last longer. How long has 3M™ Colorquartz™ Aggregate been in existence? 3M Colorquartz Aggregate has been used by pool builders since 1988. 3M began coloring aggregates for use in asphalt shingle manufacturing, mastering the technology of coloring aggregates while assuring a durable coating and lasting color. This technology was easily transferred 40 years ago to the coloring of quartz. Its first use was in seamless flooring systems and has expanded into use in pools and other architectural applications. Because of 3M’s technology and experience, our colored aggregates have been the favorite choice of pool builders and architects. What guarantees that 3M's color will last? 3M™ Colorquartz™ Aggregate is formulated with stable inorganic pigments — the same kind of pigments used to give permanent color to ceramic tile. Each 3M quartz granule undergoes a proprietary ceramic-coating process that bonds permanent coloring pigments to the quartz. The result is bright, consistent, long-lasting color that is unaffected by harsh pool chemicals, low pH or sunlight. Tinted plaster, in comparison, provides limited color options and often fades over time. Can this be a do-it-yourself project? No. Pool plastering is a job for skilled and experienced professionals. What does the 3M™ Colorquartz™ Aggregate surface look and feel like? The colored aggregate is randomly distributed throughout the plaster surface so each pool will have its own unique appearance. The feel is a smooth and pleasant texture but, if desired, can be exposed to have a more “gripping” surface on high-traffic areas, such as steps or pool-side decks. Should my builder/plasterer have experience in applying this product? Will this product affect my pool chemistry? No. 3M™ Colorquartz™ Aggregate should have no effect on standard pool chemistry. Nor should you worry about the chemistry affecting the color of the quartz granules. They will not chip, crack, fade or bleed color into your plaster surface. Is there any special start-up treatment required? Yes. To ensure proper start-up and keep your pool manufacturer’s warranty valid, please follow the specific recommendations given to you by your pool contractor. Is 3M™ Colorquartz™ Aggregate recommended for use in a spa? Yes. Colorquartz aggregate is ideally suited for the high temperatures and chemical levels in spas. Is 3M™ Colorquartz™ Aggregate recommended for decks and patios? The aggregate can be used in resin coatings to provide a safe and comfortable surface. Your builder can recommend an appropriate level of slip resistance for your application. The main objective in a pool start-up is to clear or get rid a of the plaster scale (dust), and to balance and stabilize the water chemistry in the pool as soon as possible. The first 30 days of plaster curing are the most critical. The need for proper water chemistry and maintenance continues for the life of the pool. The following are some of the “do’s and don’ts” for starting up a freshly plastered pool. Before adding any water to the pool, make sure you know the quality of the water. This is recommended because water quality is not the same everywhere. You may find that your local source water is not suitable for filling a freshly plastered pool. It is recommended that all water chemistry readings be written down for future reference. B. Determine The Water Gallonage Of Your Pool You may want to take a meter reading if you are filling from one source with a water meter. After the pool has been plastered, the plaster crew should leave a hose in the pool to fill it with water. This hose should have a clean, soft cloth tied on the end of it to diffuse the water so that it does not whip, protects the pool surface from being marred by the end of the hose, and to catch any debris that may be in the water system. Do not add anything but potable water. Make sure the fill is not connected to a water softener. If you are to use water that is being trucked in, a cushion of 24″ must be in the bowl of the pool. Water shall be introduced in such a manner that it will not damage the plaster. Fill the pool as fast as possible. Additional hoses will fill the pool faster. Make sure they are protected by a clean, soft cloth. If the pool fills too slowly, check cracks may appear on the steps and near the tile line on the walls. Do not use the fill lines on the wall or tile line. If it looks as if the pool is going to finish filling while you are not around, turn down the volume of the water to a lower rate, but do not turn the water off. If you turn the water off while you are filling, it will leave a water stain ring at that point on the plaster that could be permanent. If you splash, spill, wash onto or cause anything to fall onto the fresh plaster, it may stain the plaster. Do not walk on the freshly plastered surface or allow pets or animals to walk on the fresh plaster. D. Test the Water Again. 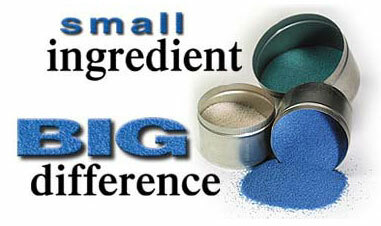 If you have a diatomaceous earth filter it will require precoating as per manufacturer’s directions. Do not turn on waterfalls or fountains that aren’t necessary until the start up procedure has been completed. Do not swim in the pool until after the start up procedure has been completed. Due to the varying differences in source water chemistry, it is up to the person who is doing the start up to evaluate the water conditions present. It must be perfectly clear that the person administering the chemicals should be aware of the power and effects of each chemical and the possible reactions of each chemical. It is the sole responsibility of that person to administer the chemicals in a calculated and safe manner. These chemicals are extremely important. The help minimize normal staining. Do not add these chemicals until after the pool in filled. Before pouring chemicals into the pool dilute mixture in a large pail. Always add chemical to water; never water to chemical. Adding large doses of chlorine to water in one spot may cause mineral and metal fallout. This may cause staining of fresh plaster. Addition of muriatic acid to pools during startup will reduce the water’s alkalinity and lower the ph. The addition of muriatic acid to pools during start-up will reduce plaster scale (dust). The addition of excessive amounts a muriatic acid to plaster surfaces may cause it to etch. You may notice plaster scale (dust) on the bottom of the pool. This is normal and will go away with proper treatment and brushing. The main objective in starting up a pool is to clear or get rid of scale (dust) and to balance water chemistry in the pool as quickly as possible. Do not use a wheeled vacuum for three weeks after plastering. The use of a brush vac is recommended the first three weeks to avoid marring the plaster. On some pools you may have to turn off the main drain so that you can vacuum. When you have vacuumed the scale (dust) from the pool it is important to clean this residual from the filter right away. Remember to recharge the filter if it is a D.E. filter. It is okay to vacuum the scale (dust) to waste if you wish. The more you brush the pool the better it will look. The entire pool should be brushed preferably twice a day until the water is balanced and the plaster scale (dust) has gone away. The pool should be brushed after each vacuum. Add chlorine in small amounts as needed to the pool until after the scale (dust) has been eliminated, the water is balanced and stabilized and conditioner added. National Plasterers Council, 2811 Tamiami Trail, Suite D, Port Charlotte, FL 33952.